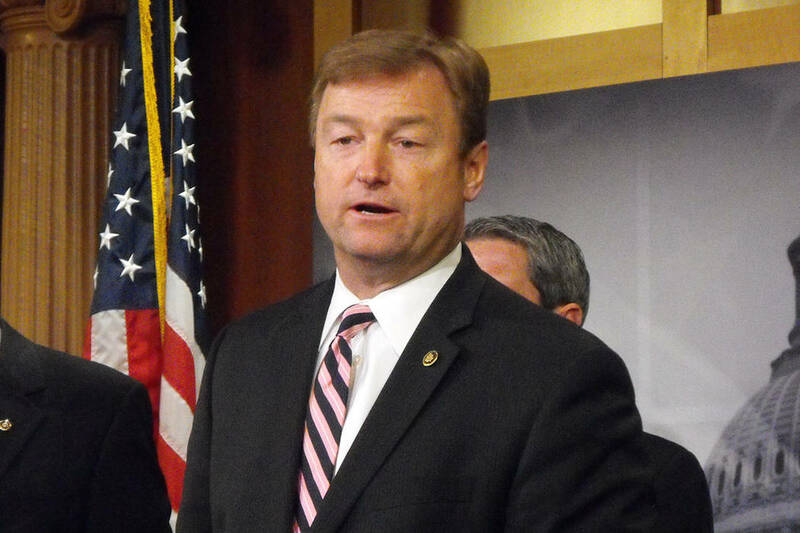 Tax reform and relief is the next big issue before Congress and U.S. Sen. Dean Heller, R-Nevada, should have a front row seat since he sits on the Senate Finance Committee and Senate Banking Committee. Las Vegas Review-Journal U.S. Sen. Dean Heller, R-Nevada, said that any tax relief must include small businesses and average Americans. He said the Trump administration also wants any new plan to be easier for taxpayers to navigate. One of the big issues for many when Congress turns to tax reform will be the popular mortgage-interest deduction on home loans. Heller said recently on Nevada Newsmakers that he sees the cherished tax break surviving, but with changes. Currently, about 30 million Americans claim it as a tax break. “It is one of the few taxes that Gary Cohn, the president’s economic adviser and Steve Mnuchin, the treasury secretary, said that is off the table,” Heller said of the mortgage-interest deduction on Nevada Newsmakers. Currently, homeowners who itemize deductions on tax returns can deduct the interest on mortgages worth up to $1 million combined for their primary residence and second home, according to CNN Money. The $500,000 mortgage interest cap mentioned by Heller was also proposed in 2014 by former House Ways and Means Chairman Dave Camp, according to CNN Money. The change in the mortgage-interest deduction would target the higher-end homeowners since they’re the ones who can afford $1 million homes or second homes. Any change to the mortgage-interest deduction will most likely draw the ire of the nation’s real estate businesses. “Proposals limiting tax incentives for home-ownership would cause home values everywhere to plunge,” the National Association of Realtors warned in a talking points memo about tax reform. The Realtors association also noted “homeowners already pay 83 percent of all federal income taxes,” in their memo. Lawmakers look at the mortgage-interest deduction as a possible cut in the U.S. tax code because it costs the federal government an estimated $80 billion a year. Lawmakers must find alternative ways to raise taxes since the upcoming plan from Congress could include lowering the tax rate for corporations and the wealthiest individuals. Heller sees the corporate rate as a barrier to international business and money. “We are taking a look at our highest (tax bracket) right now with is the highest (rate) in the world at 35 percent, which makes America non-competitive with the rest of the world,” Heller said. “(We’re trying) to try to lower that rate. I know right now that the White House has it pegged at 15 percent. I hope they are right. I will support 15 percent. President Donald Trump has been pushing the 15 percent corporate tax rate. Some congressional leaders say the proposal doesn’t add up on tax ledgers. While some of the attention of tax reform is centered on the corporate tax rate, Heller said any tax relief must include small businesses and average Americans. He said the Trump administration also wants any new plan to be easier for taxpayers to navigate. Trump has more expertise in taxes than he does on healthcare, Heller said. “First of all I call it tax relief,” Heller said. “I know the White House wants this, the administration understands it. “I always say that the obvious difference between this and health care is that we have a president that truly understands taxes,” Heller said. “And I think he will be more engaged in the process. The big news and the good news is that the Big Six, which is the White House and leadership in both houses, are all on the same page.